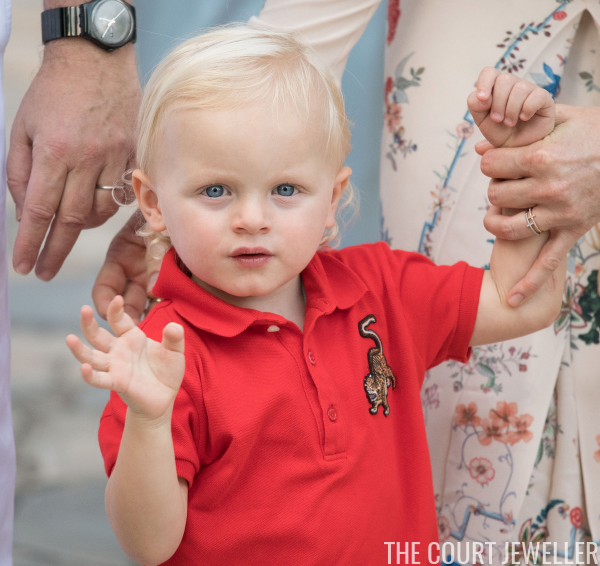 Princess Charlene went with pearly, delicate jewelry for this daytime event. 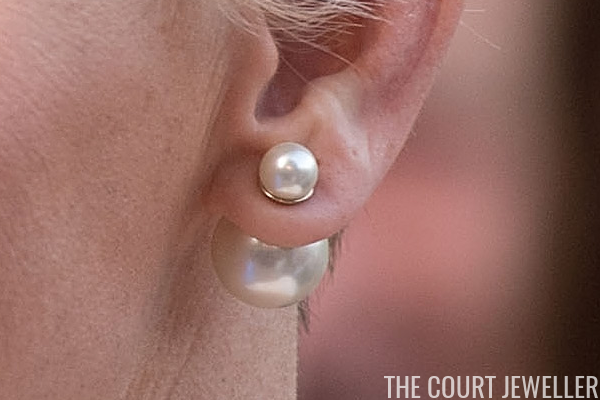 Here's a better look at her back-to-front earrings; I believe these are the Dior Tribales earrings, which are made of "cream resin beads" rather than real pearls. 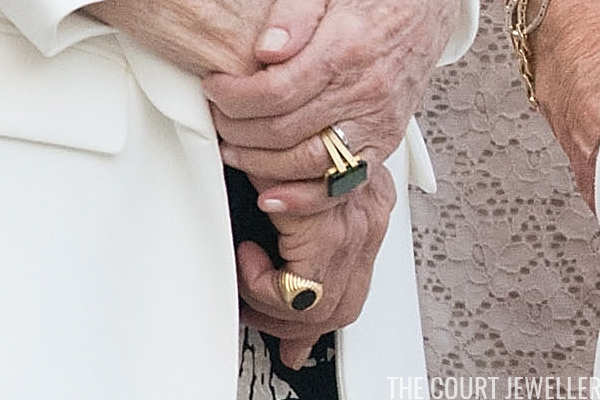 She also wore Dior's "UltraDior" ring, which is also made of resin beads, on her right hand. 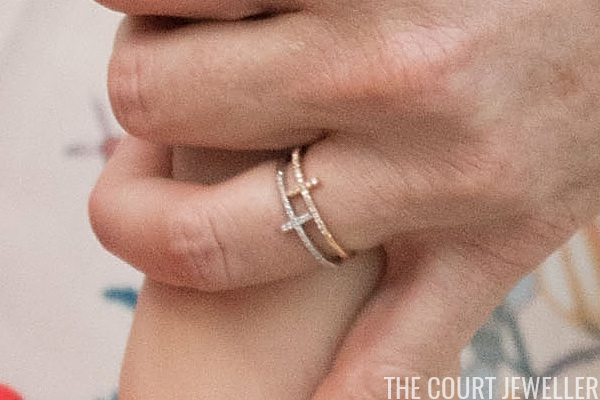 On her left hand, she swapped out her enormous engagement ring for a pair of delicate, glittering cross rings in two different metal finishes. 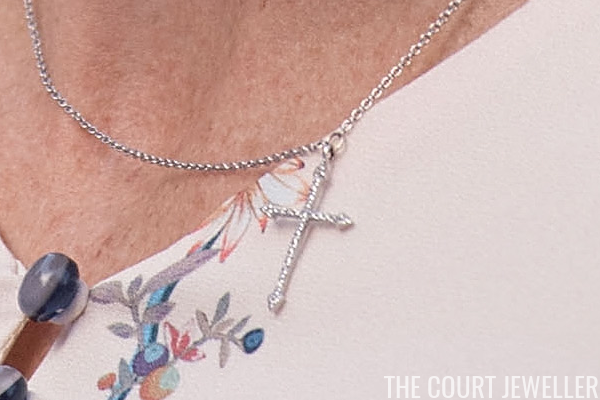 She finished off the look with a coordinating cross pendant necklace. 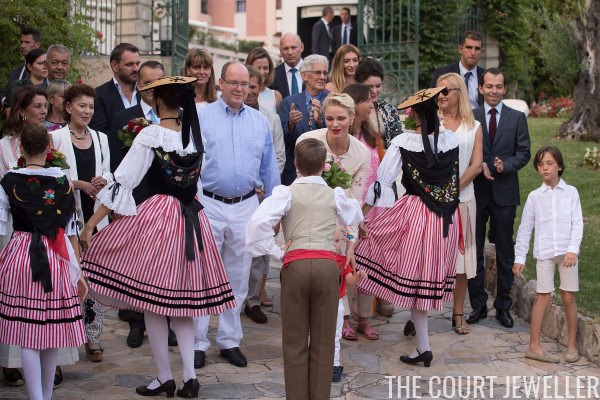 Princess Caroline also attended the picnic, along with Elisabeth-Anne de Massy (daughter of Prince Rainier's sister, Princess Antoinette). Caroline wore gold jewelry, and Elisabeth-Anne donned a necklace made of twisted strands of seed pearls. 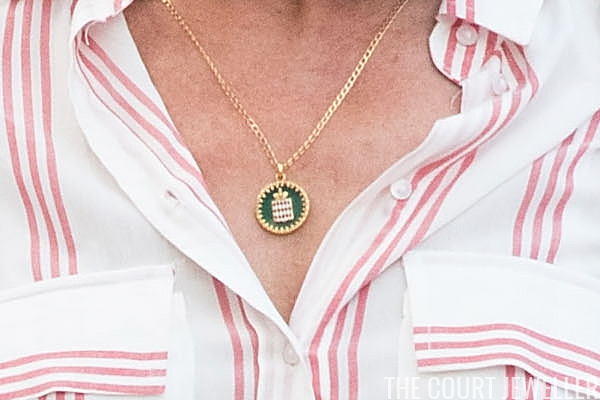 Here's a closer look at Caroline's pendant, which features the House of Grimaldi's coat of arms. 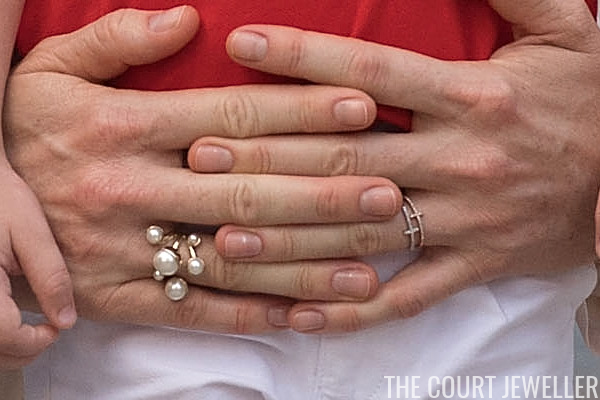 And here's a better look at Elisabeth-Anne's rings. 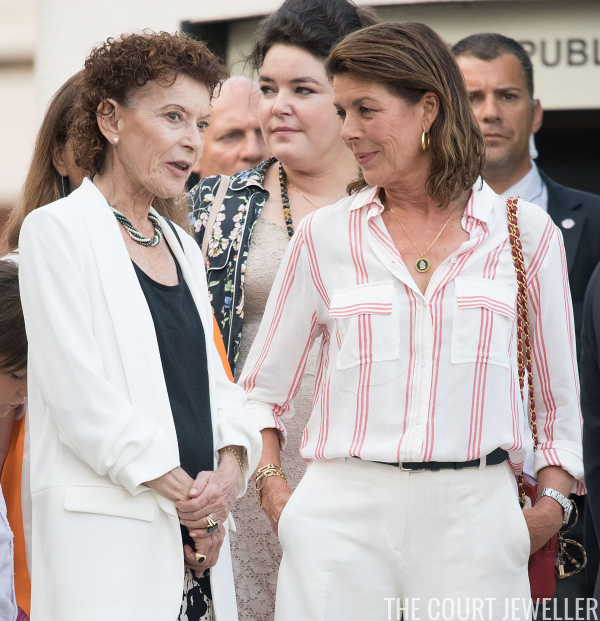 Elisabeth-Anne's daughter, Melanie, was also in attendance. 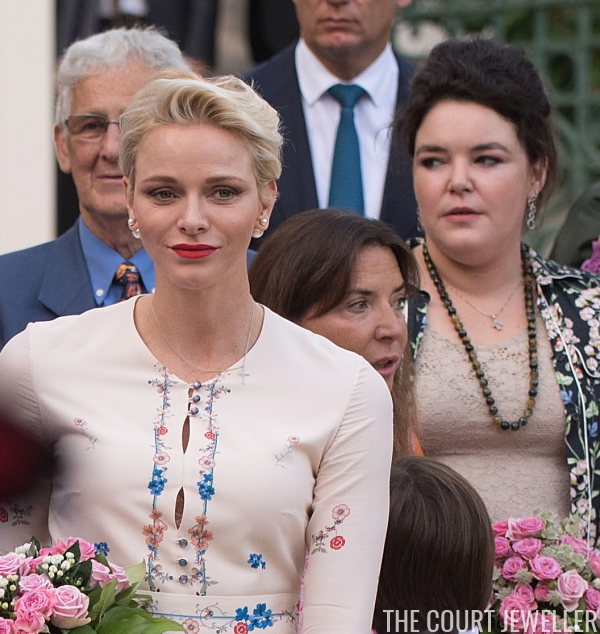 She's on the right side of the photo above, wearing an interesting pair of earrings and layered necklaces.